Hello PSB supporters! We have had some volunteer changes resulting in the need to temporarily suspend accepting donations until at least Fall 2017 (or later). Job changes and lots of babies have made it difficult to keep up given we are a tiny organization. Thanks in advance for understanding and for all the amazing donations you all have provided to so many children entering out home care! We are back!!! (Kind of.) PSB is a teeny, tiny little organization. We have been primarily run by three volunteers who also work full-time in child welfare. In the past year, one volunteer relocated to northern Wisconsin and the remaining two had babies. Hence why there has been a bit of a hiatus. During this period, we have been able to ensure foster children still receive PSB care packages. However, (as many of you may have noticed) we struggled a bit keeping up with communications. That being said, please be patient with us if we are taking a bit to get in contact. Facebook messages are likely the best way to communicate for right now. Also, let us know if you are interested in helping with PSB! We would be looking for individuals willing and able to commit time consistently. Likely a few hours per month. And thank you all for continuing to support PSB and make sure every child entering out of home care has with them belongings they can all their own! 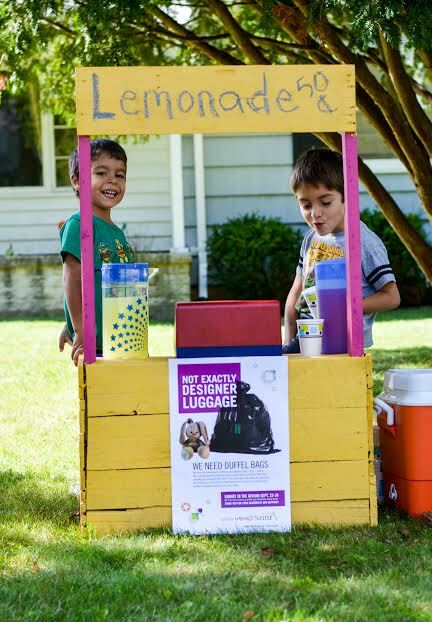 Lucas and Santi decided recently to have a lemonade stand, but not just any lemonade stand! They decided to collect both money and items for children in foster care! It ended up being a huge success! They collected 25 shoe boxes and $80 to purchase goodies to be packed in care packages! Plus, they collected numerous duffle bags for foster children to use when they move! Thank you so much boys for giving back to your community and helping foster children! PSB is making it's way north! 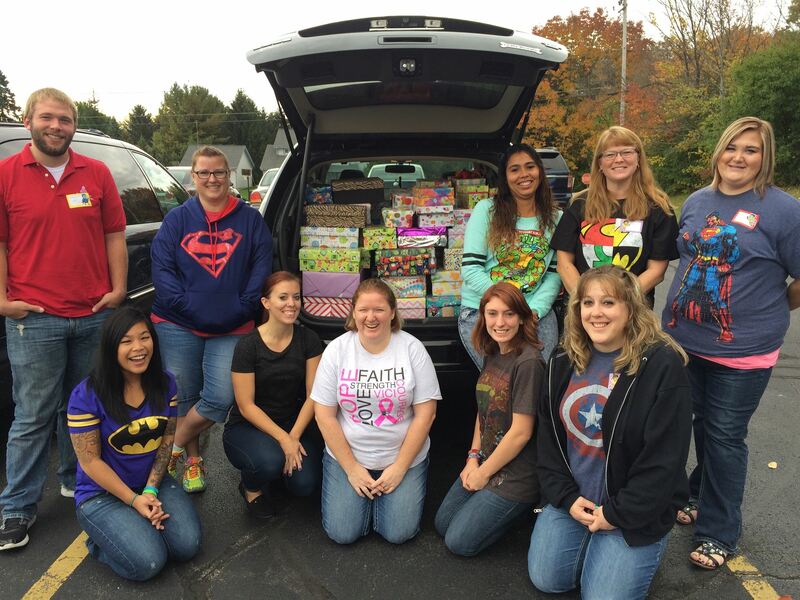 Project Shoe Box (PSB) was excited to be able to donate 100 care packages to Outagamie County. Outagamie staff noted they loved the idea and were thankful for the donation! Thank you so much to all our supporters who make such donations possible! Featured in the photo are Outagamie County Executive Thomas Nelson, Foster Care/Home Consultant Supervisor Jennifer Sailer (bottom left), and Foster Care Coordinator Andrea Lemke-Rochon (bottom right) who accepted the donation from PSB Program Coordinator Sami Jo Dock (upper right).